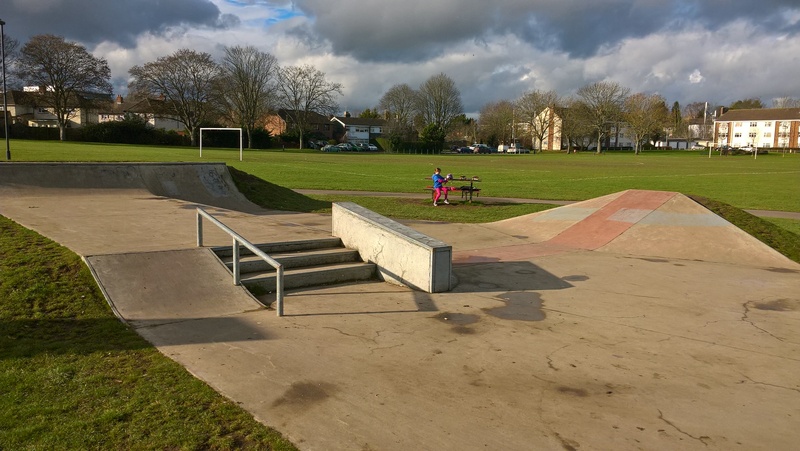 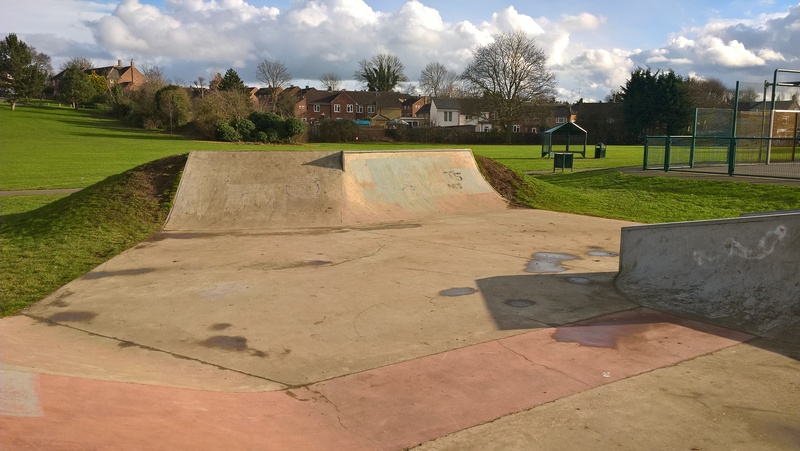 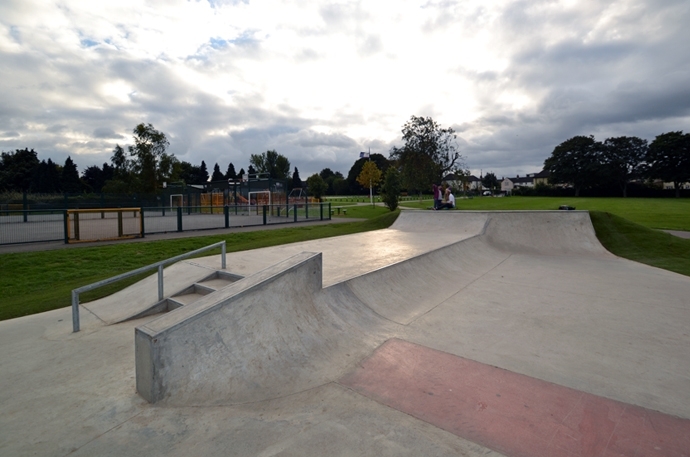 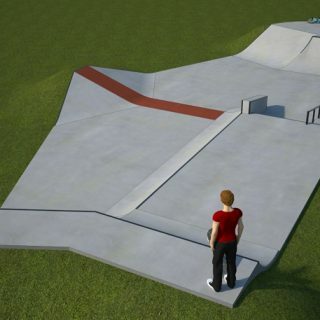 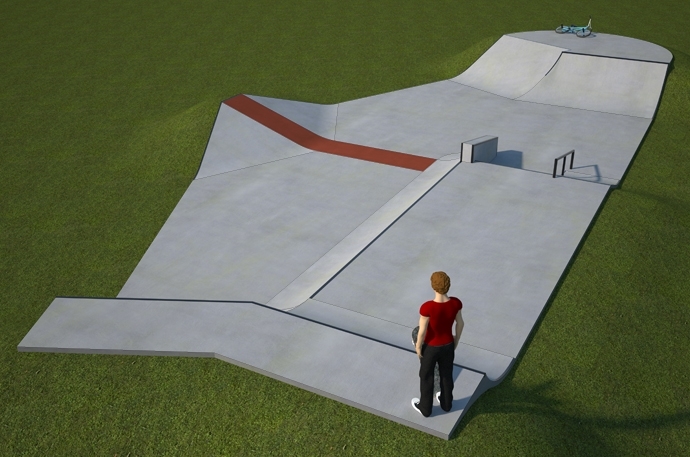 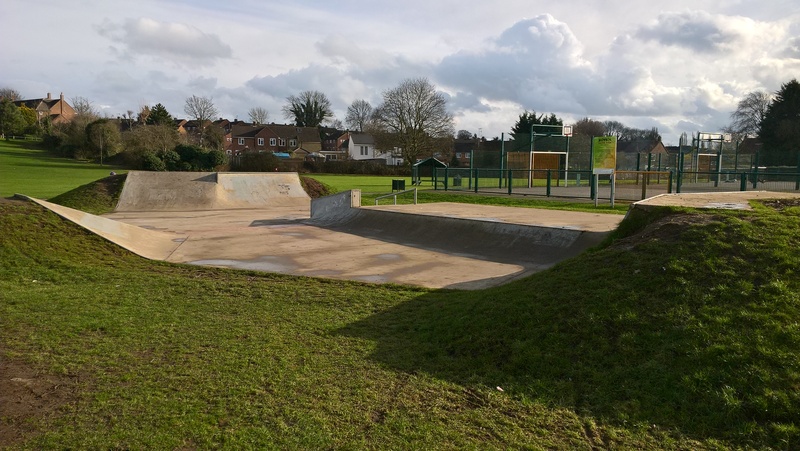 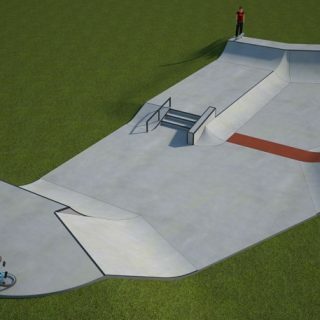 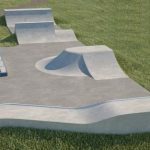 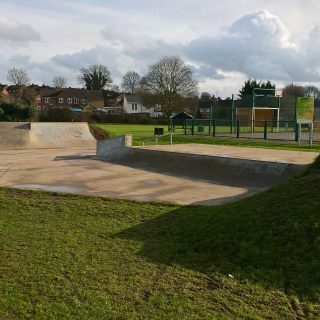 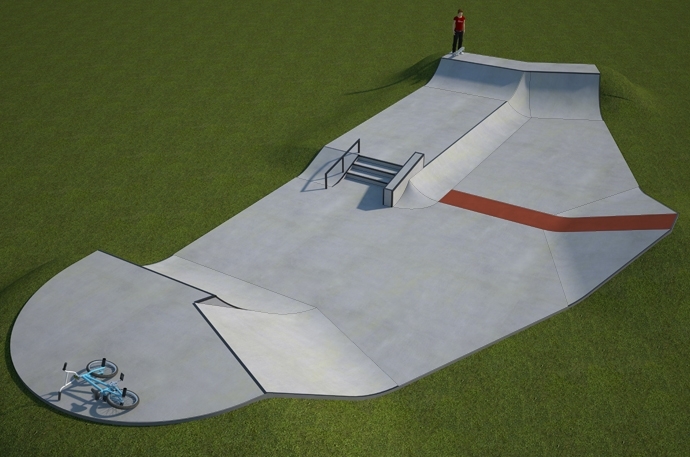 Desborough Park skatepark is a simple concrete course opened by Wheelscape in 2013, featuring a basic transition and street section. 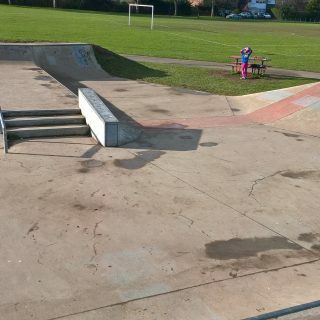 The street course here is a stair set with hand rail and hubba on a platform with a bowled edge and adjacent to this is a small hip. 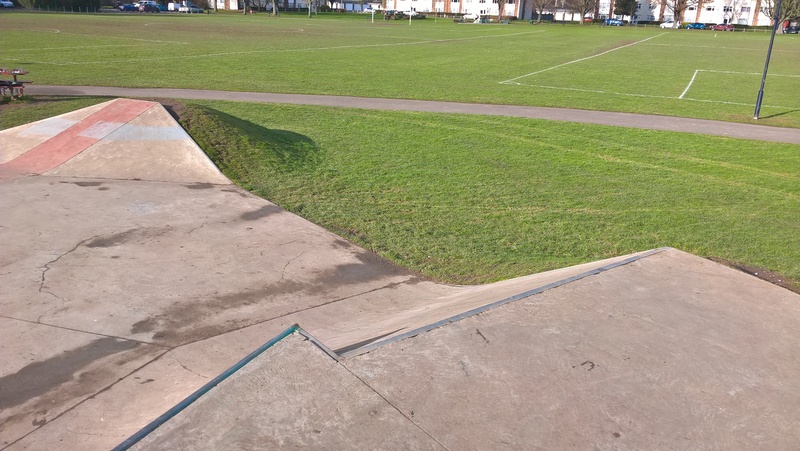 Either side of this section are flat banks and quarter pipes lining the edges to create flowing lines and gain speed. 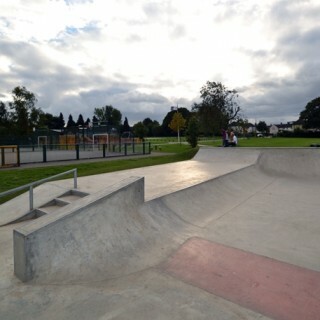 This is a fun local park and is a perfect place to practise the basics on a super smooth surface. 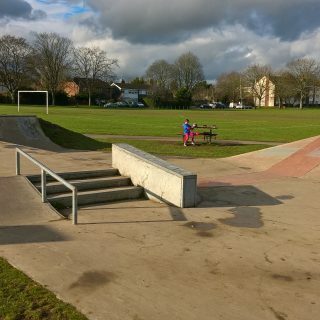 Maidenhead train station: Exit Maidenhead station onto Shopperhangers Road and head west. 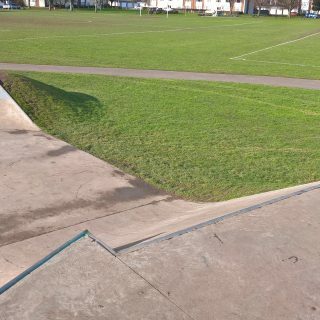 On your right will be Ludlow Road, take this road and follow it until the end where it meets Brunel Road. 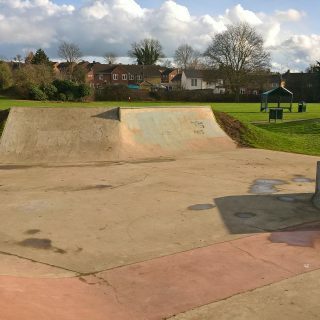 Here walk to the end of this road and take the footpath at the end that exits into Desborough Park, here is where the skatepark can be found. 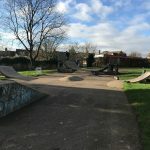 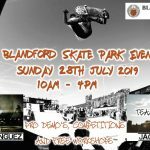 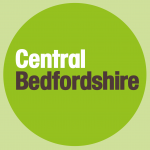 Fane Way bus stop: Exit the bus onto Larchfield Road, turn onto Fane Way and Desborough Park will be in sight, here is where the skatepark can be found. 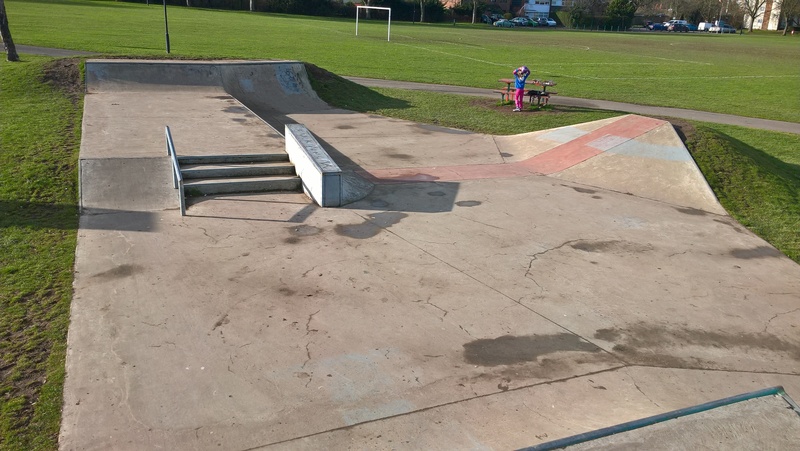 There are no on site toilets but there are free to use facilities nearby.